The Royal Yacht Britannia is Her Majesty’s favourite palace – and a magnificent setting for your Christmas celebrations. 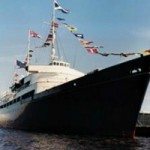 Now moored in Leith, Edinburgh, there are few venues more exclusive and prestigious at which to entertain your clients or staff than the Royal Yacht Britannia. 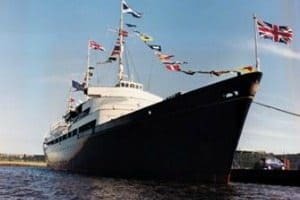 The Royal Yacht Britannia helped to make the Queen the most travelled monarch the world has ever known. Not only has she and her family travelled the world on Britannia, but the world, its statesmen and leaders has visited them on board. The guest list therefore reads like a who’s who of world leaders, including Nelson Mandela, 9 British Prime Ministers, including Sir Winston Churchill, 7 American Presidents, 2 Popes and stars of the stage and screen such as Noel Coward, Frank Sinatra and Bob Hope, who were entertained just as they would be had it been a royal palace on British soil. 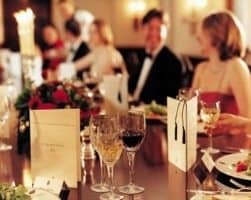 This is your opportunity to join an intimate gathering aboard the famous Royal Yacht Britannia for a very special evening of musical entertainment and sumptuous food created by the Britannia’s award winning chefs and served in the manner befitting the setting. Places are extremely limited so contact us today to avoid disappointment. To make a short break of this experience we’re able to offer one or two nights stay at the newly refurbished waterfront Malmaison Hotel located a short distance from the Royal Yacht with a delicious Scottish breakfast and transfers to The Royal Yacht. Prices vary depending on the number of guests and the required date please contact us for the latest availability by calling 0203 905 1750 or email [email protected]. 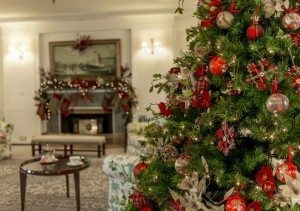 To start the evening off in style you and your guests will be piped aboard by a ceremonial piper, before moving into the state drawing Room for hot punch and Christmas canapés, held around the Grand Piano that Noel Coward used, to play to The Royal Family and their guests. 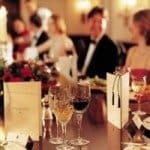 Before you are invited through to the State Dining Room, you and your guests will be taken on a private guided tour around the Britannia. 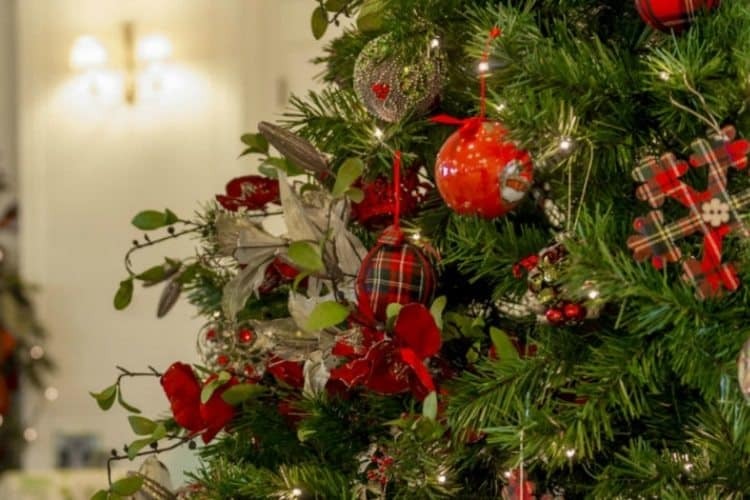 Your sumptuous four-course dinner served with fine wines in the State Dining Room will be interspersed with popular carols, festive music and comic songs performed by soloists from the Royal Opera House in London, who’ll also perform a wonderful grand finale. We’re able to offer private tables for groups of 10 or 12 guests, whilst smaller numbers will be accommodated on shared ‘Club’ tables. I went onboard once as a child and had no idea that this could be used for events until Melissa suggested it. I had forgotten how opulent it is, if your budget stretches far enough then this is definitely worth going to. I thought it had returned to service, you can imagine my surprise when Tina suggested it for our Christmas Party. If you don’t mind the drive, this is certainly worth going to. Edinbrugh has many attractions that do Christmas parties, this is certainly one of the more unique. There are few literal floating palaces, and this was so nice that at times I forgot I was on a boat. It gave my team a ‘night to remember’ (excuse the pun) and we certainly look forward to what Tina and the team suggest for us next year.